In the midst of setting up my rings, I decided to super simplify. I took several sections out of my planner that I just never used, and I thinned out what I had considerably. 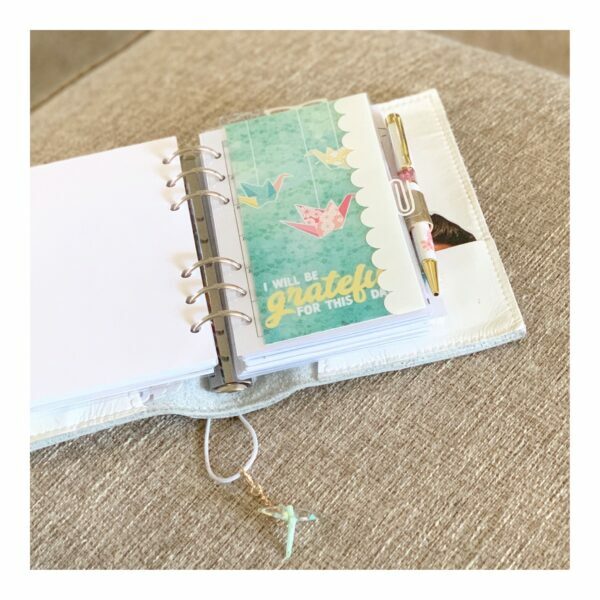 As a result, my planner feels lighter, is much easier to carry, and it feels like a huge weight is lifted off my shoulders knowing that my planner holds the information I truly use on a regular basis. This month I’m using my salt personal rings from Foxy Fix. 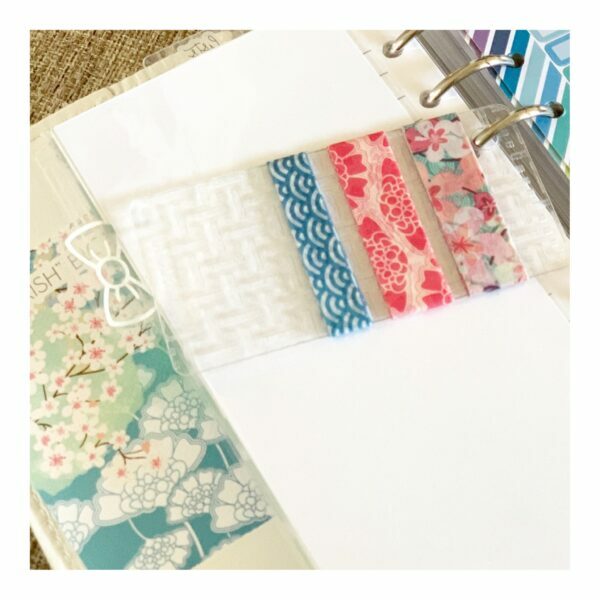 I love the pure white of this planner, and how gorgeous the bright colors of the April kit pop against the bright background! The pinks in this month’s kit just makes my heart so happy! Here’s the front of my planner. As usual I put the monthly card in my front pocket, as well as the monthly stickers. 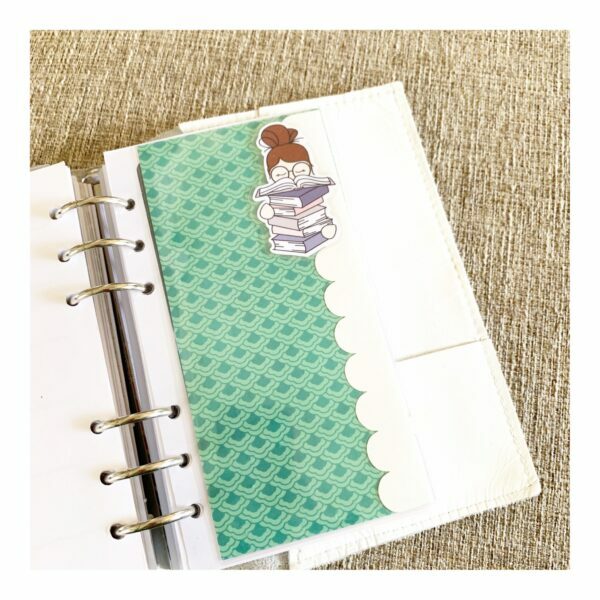 I absolutely love having the stickers in my front pocket, within easy reach if I want a pop of color in my planner! Directly across from my pocket is my first divider, with this gorgeous April paper inside. I used to have a dashboard and then an “Inbox” fold out flap, but I decided to remove both of those and just dive right in. Seeing this paper pattern makes me happy every time I open my planner! My second divider is for my “Personal” section. I love how the Cocoa Daisy divider quotes always seem to fit exactly what I want to say with specific sections of my planner. 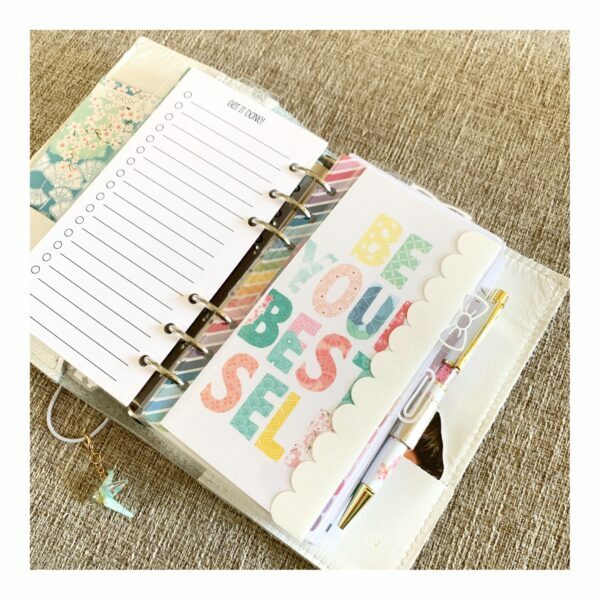 This divider says “Be your best self”, and I thought that was a perfect reminder to have in the Personal section of my planner! 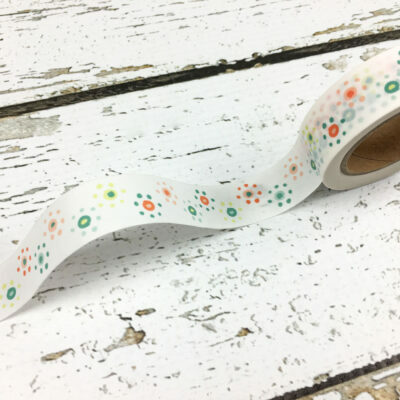 Is anyone else obsessed with the Washi holder that came this month? 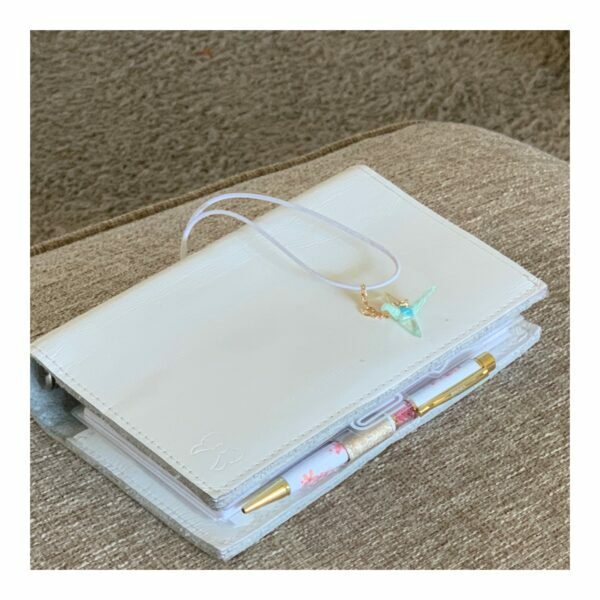 I love that I can stick it with my most used favorites and theres’ a hole right there to direction clip it in to my planner! 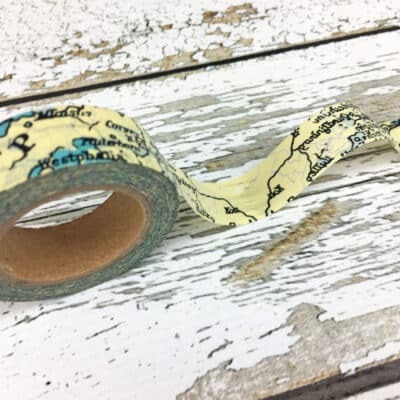 This is perfect for making sure I always have supplies! This section is my calendar section. 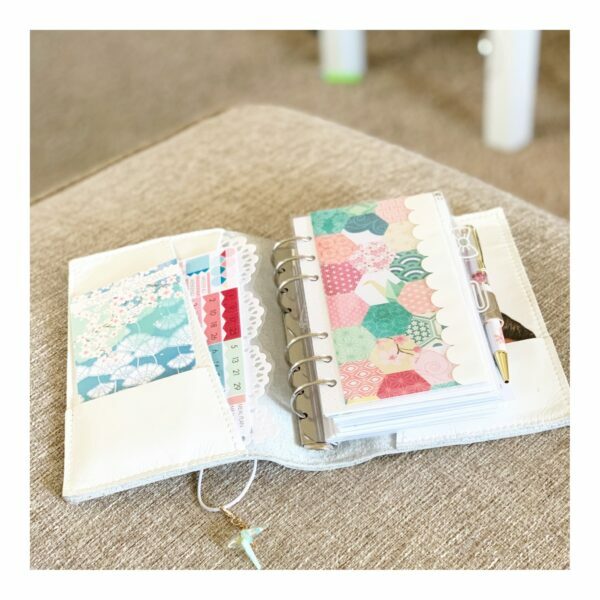 Again, the Cocoa Daisy dividers are perfect for this section – reminding me to be grateful for all the days I’m blessed to have. This section holds my monthly, weekly/daily, and preplan sections. How amazing is this divider? I didnt’ want any of the words to be covered by the border in my tabbed dividers, so I just punched this and put it in between my daily and preplan layouts. This is so completely accurate and hilarious and makes me smile everyt time I see it! The next section is where I track books and other school stuff for myself and homeschool. This is a section I always have with me because I’m always working at making their situations work for effectively, and it’s so much easier to do if I make a schedule for them then carry it here. This last section is my home section. This is just where I keep my zone cleaning lists, as well as home projects already underway and ideas we have, lists of things we need, etc. It has come in handy sooo many times, when we are out and need to check something house wise. There you have it! A quick overview of my setup. 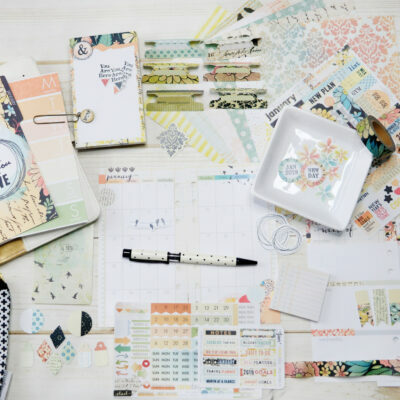 How easy and amazing is it to be able to setup a planner with gorgeous and coordinating paper and have it ready to go within just a few minutes? 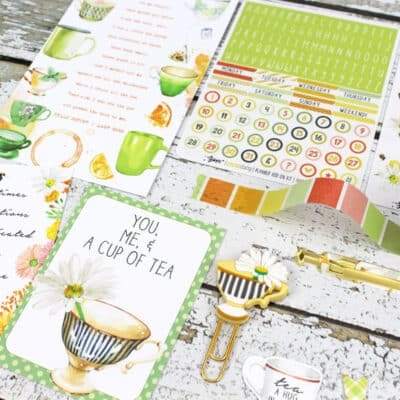 One of my absolutely favorite things about Cocoa Daisy is the fact that we can go as far as we want to decorating or keep it simple and still have it gorgeous and pulled together! One last thing – how gorgeous is this pen? This seriously may be the most beautiful pen ever! And I love the way it writes – Cocoa Daisy are so amazing at this! I hope you like my setup Daisies! I love the fact that it’s so slim and functional now. I have no doubt it will chunk up again, but I love the fact that it will chunk up naturally, over time. 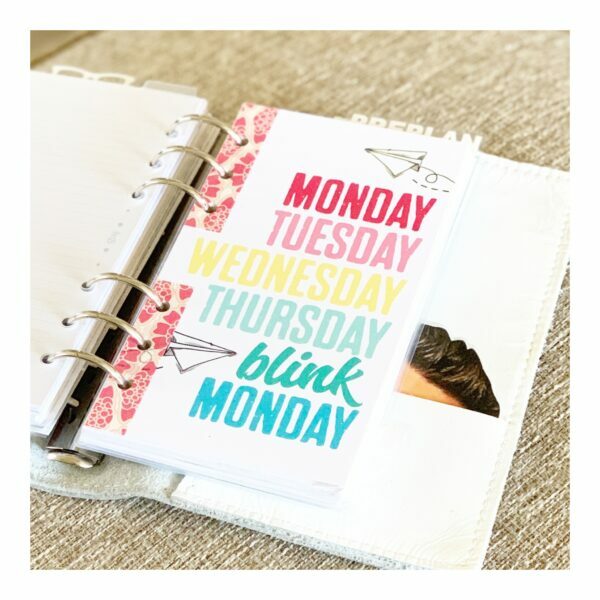 I hope you all are having fun setting up your April planners – make sure to tag me in your posts! My IG username is Gracefulplanner, and I’d love to hang with you all more and chat all things Cocoa Daisy! This is a beautiful setup! I love the idea of simplicity. I’ll need to try that myself! Thank you so much! It makes my brain feel so much more organized and prepared!